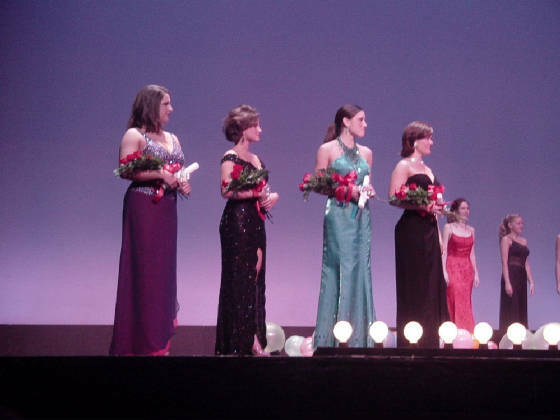 Pictured above from left to right are: 4th runner-up Megan Culler; 3rd runner-up Morgan White; 2nd runner-up Sabina Kudmani and 1st runner-up Jessica Horsley. Everyone is a winner in the Miss Lexington/Miss Metropolitan pageant! Congratulations to all contestants! All of this years contestants gathered for a group photo at dress rehearsal. They're all winners! We hope that next year even more young ladies will participate to earn scholarships to further their education.